This application note was designed to show a random cloud of points on the Pmod OLED, and then display a flashing message 3 times. Fritzing file displaying the connection of the Pmod OLED to the Arduino Uno. 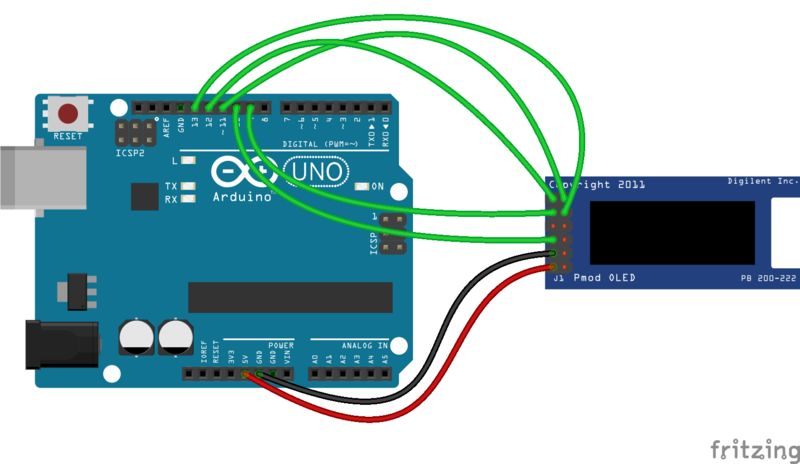 Fritzing image displaying the connection between the Pmod OLED and Arduino Uno. Using this code will display a cloud of random points on the Pmod OLED before flashing a message 3 times. * then the Message lextronic appears and flashes 3 times.